Veterans Affairs and HHS' Indian Health Services division have become the first federal agencies to earn DirectTrust accreditation, officials announced late this week. 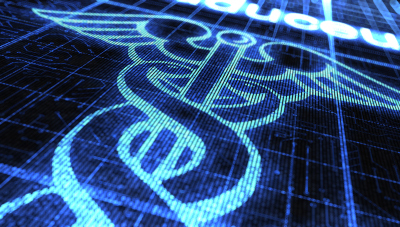 For both agencies' security and identity controls, they've received accreditation from DirectTrust and the Electronic Healthcare Network Accreditation Commission, or EHNAC – something officials say signifies a "major boost" for care coordination efforts, allowing the federal agencies to communicate securely with virtually any healthcare provider or hospital, regardless of their EHR. Collectively, VA Health Administration and IHS provides healthcare for nearly 11 million veterans, American Indians and Alaska Natives. Accreditation, DirectTrust officials point out, denotes compliance with industry security controls and standards, in addition to Direct Project specifications and HIPAA regulations. Lee Stevens, director, office of state policy at ONC, called the accreditation an "important milestone" for both federal agencies. "It represents another step toward widespread, trusted and secure health information exchange among federal agencies and the private sector," said Stevens in an Oct. 15 press statement. "Bringing secure, identity-validated, Direct health information exchange to these federal agencies is a major milestone in this country's journey toward full national interoperability of our health IT systems," added David Kibbe, MD, Direct Trust president and CEO, in a statement. EHNAC evaluated privacy and security; technical performance; PHI transfer and management; business practices and resources of both federal agencies. Other DirectTrust members include Baylor College of Medicine, Intermountain Healthcare, Mayo Clinic, Vanderbilt University Medical Center, among others.